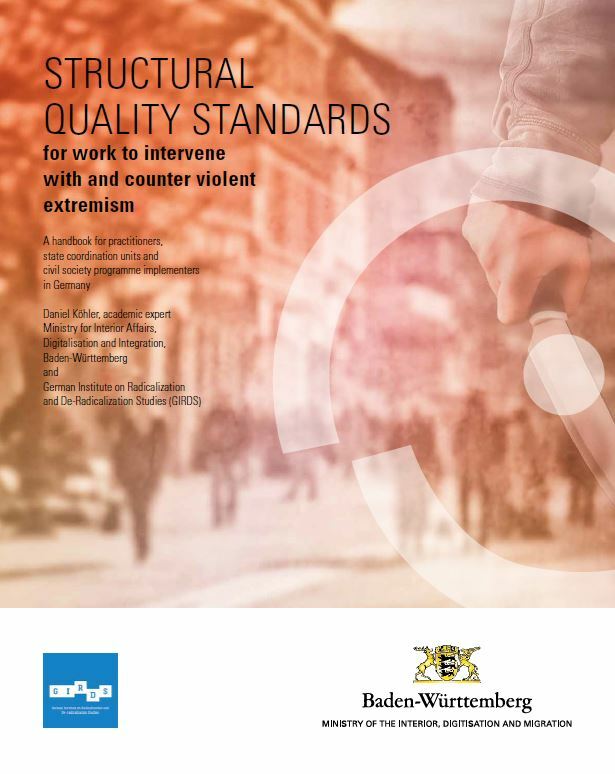 This handbook written by our Director Daniel Koehler was published in coopertation with the Ministry of the Interior, Digitisation and Migration Baden-Württemberg and is the first ever guide for structural integrity and quality standards in CVE and deradicalization work. It teaches practitioners, policy makers and academics how effective deradicalization programs need to be built and how their structural quality can be assessed. The English translation from the German original version was provided by the British Embassy in Berlin.